As a wee bit of a follow up on the last posting, in which is outlined a most resourceful approach, from times gone bye, to getting increased heat from a stove, I have another interesting account. While looking for some photo examples of horizontal flue runs, I came across an interesting blog from "tallpines" in the US talking about country life and having lots of very nice photos of the area. 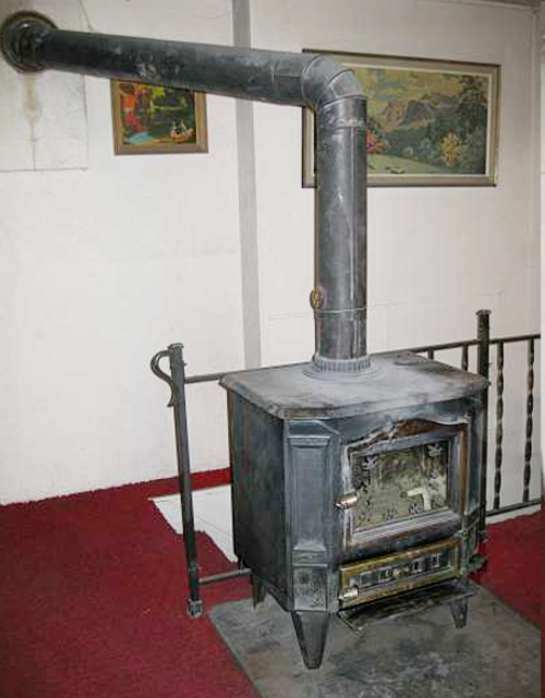 The blog also talks about many practical issues of insulation, fuel economy and sustainable living, and that is where the stove story comes in. What I found interesting, apart from seeing a stove installed with a long bit of horizontal flue running over an access way, was what "tallpines" had to say about cleaning and the next photo showing the build-up in the flue pipe. I have never seen such a collection of soot and creosote - and I can only guess that the long horizontal run of flue may have some impact on how badly clogged it had become. Possibly because of the slowing down of the hot gasses, and the resultant cooling effect acting like a sort of distilling process. 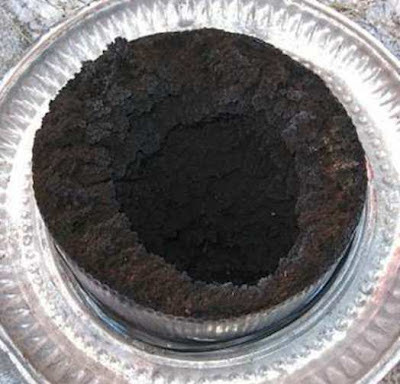 "The weather was nice today so I decided to clean the ash from my wood stove's pipe. It has been a couple of months since the wood stove burning season started. The section of pipe that is closer to horizontal collects ash more than the other sections or the chimney. Here is how much ash collects in the horizontal section of the pipe. The loose stuff shakes out. I have to use a wire brush to get it all out. This job is one that is done before a person takes a shower that day. " My worry about a build-up like that is the danger of the soot and creosote catching fire. That stuff can burn like a rocket if it gets going, and could redden or burn right through a flue pipe with the consequent danger of fire. Thank you "Tallpines" for letting me use your photos and material - do please clean your flue a bit more often!! I started to comment on your post but as I was running on-and-on I decided I would just put my comments in a post of my own. You did a good job with your post.